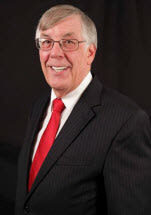 Stewart Werner is an experienced trial and appellate lawyer. His practice is focused on the trial and appeals of civil matters -- including business and commercial law disputes, divorce and family law, estate administration, legal malpractice, and personal injury. He is a qualified Mediator, having trained at the Academy of Attorney-Mediators in Dallas and the Attorney-Mediator Institute in Houston. Among his civic activities, Mr. Werner is a part-time instructor of Business Law at West Texas A&M University, an alumnus of Leadership Amarillo, and a supporter and former board member of Family Support Services of Amarillo.